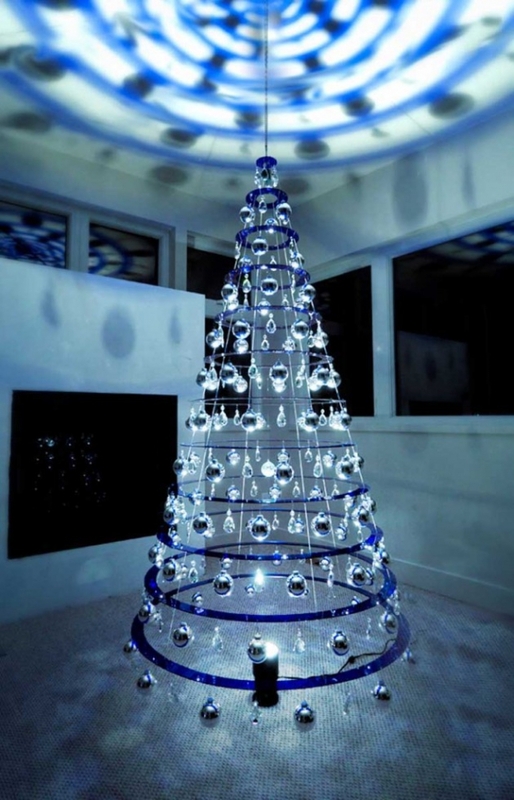 Here’s an idea for the holidays that reinvents the familiar without losing any of its festive touch – the Modern Christmas Tree is a fascinating design that is simple, smart and stunning. 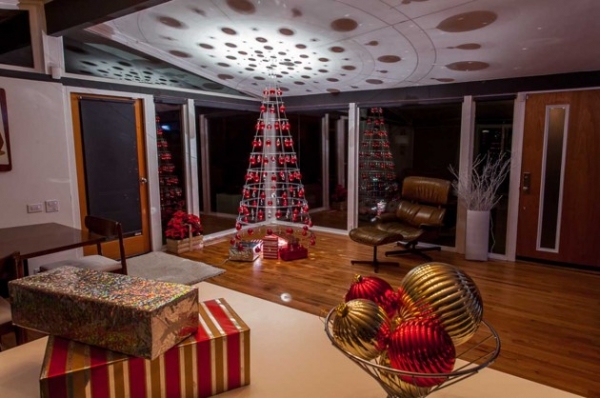 A pet project of architect, designer and engineer Lawrence ‘Bud’ Stoecker, this contemporary Christmas tree was developed and refined by him over three decades with every holiday season. 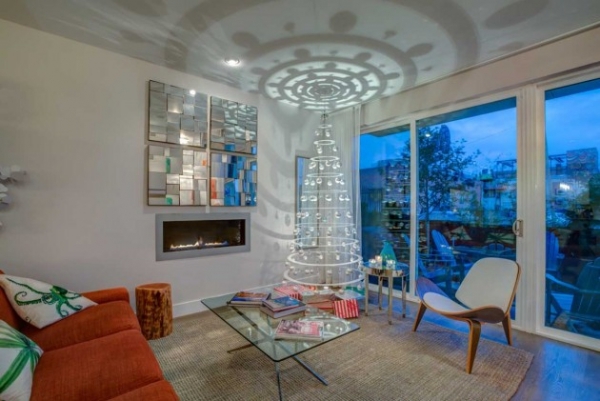 Built out of concentric acrylic rings, the tree is suspended from the ceiling with a spotlight installed at its center on the floor below. The rings are available in a variety of colors that project stunning patterns, along with the ornaments, onto the walls and surfaces of your living room. 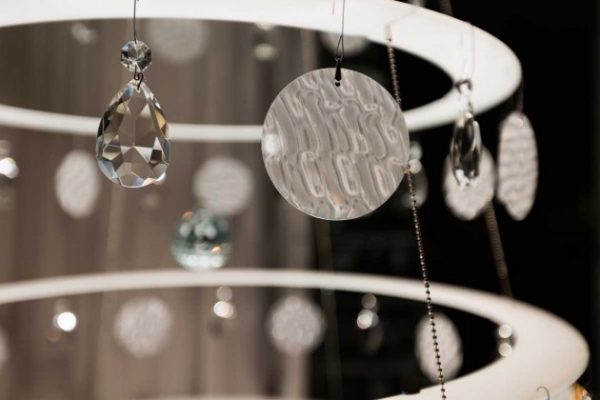 The chandelier crystals and ornaments, as well as their arrangement, was carefully explored and arrived at by the designer, working through various permutations and combinations year after year. 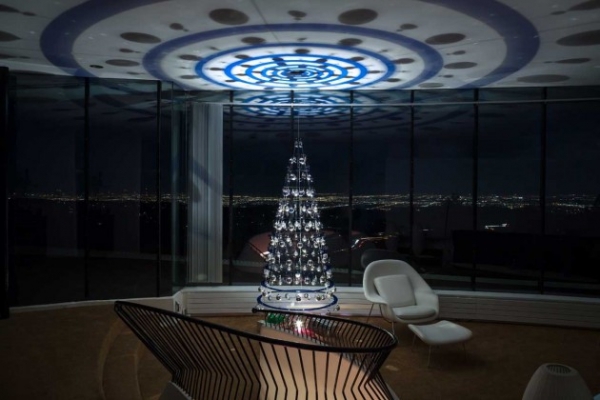 Consequently, this contemporary Christmas tree embodies an effortless grace and beauty that is the result of many years of steady and patient design. 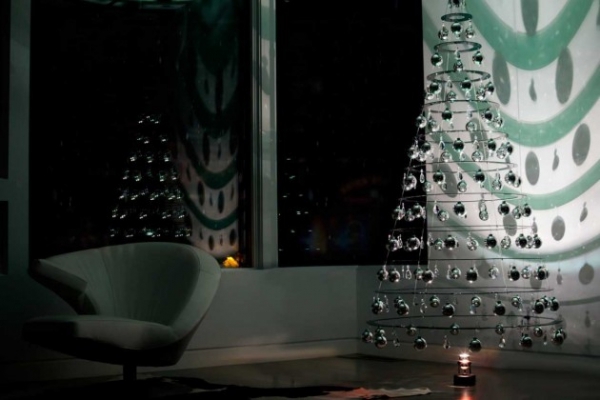 A treat for modern interiors, this contemporary Christmas tree is sure to beautifully complement minimalist decors. 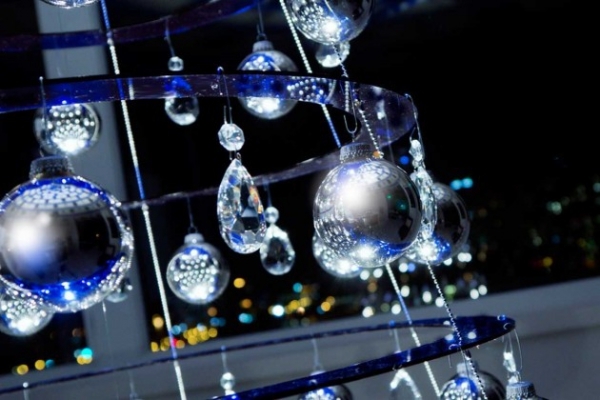 A great alternative for those looking to dress up their homes with understated elegance this season, the Modern Christmas Tree loses many of the frills of a traditional tree, yet retains that spirit of awe and wonder.